Refugees and asylum seekers account for only a small percentage of the world’s population, travelling frequently with migrants. Most of these movements are illegal, as their movement occurs without appropriate documentation, through unauthorized borders and smugglers. Today, migrants and refugees are streaming to Europe from Africa, the Middle East and South Asia as European leaders and policymakers fight their greatest challenge since the debt crisis. The International Organization for Migration (IOM) calls Europe “one of the most dangerous destination for migrants” and the Mediterranean “the world’s most dangerous crossing”. Despite this escalating toll, the European Union response to this humanitarian mayhem is adhoc especially when the world continues to criticise their step to further strengthen the borders than on protecting the rights of migrants and refugees. 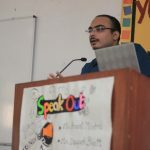 Although national parties of member nations have supported this decision while concerns of terror strikes continue to compromise their national security, it continues to remain unclear whether member nations are still capable of implementing the referred to “immigration reforms and policies for asylum seekers”. 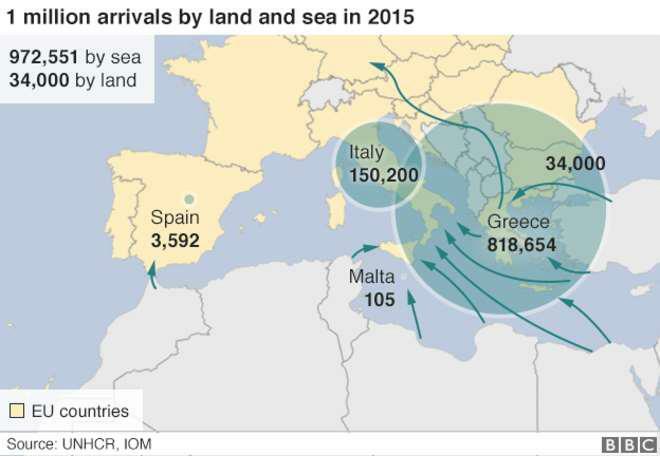 The Mediterranean is the world’s most dangerous sea route. 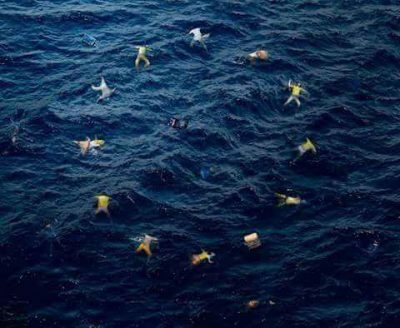 The International Organization for Migration estimated that over “22,400 migrants and asylum seekers have died since 2000” in an attempt to reach Europe and as many as 5,000 have so far drowned. 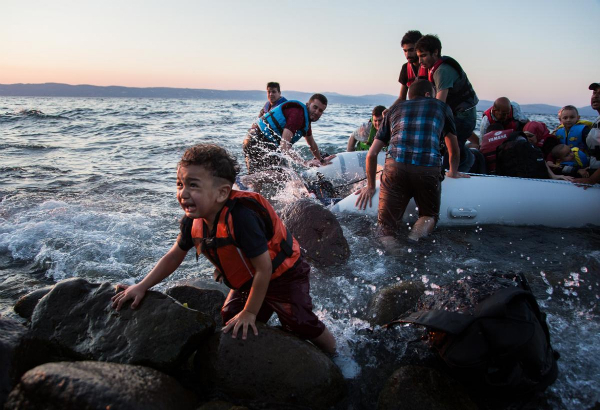 Over 3,155 drowned in the year 2014 while more than 1,850 estimated deaths occurred in the first four months of 2015. 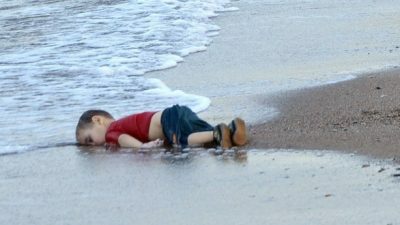 This shocking photo of a drowned toddler brought the world’s attention to this crisis, instigating a series of debates worldwide. He and his young brother were believed to be from Kobane in Syria, where eleven people were said to have drowned when their vessel faced serious troubles as they tried to reach the Greek island of Kos. Macedonia only allows people fleeing from Syria, Afghanistan and Iraq to cross its border and continue their journey to Europe. Almost 1500 people were stuck in no man’s land (between the two countries) after Macedonia and several other western Balkan countries (including Slovenia, Croatia and Serbia) began restricting the passage to those fleeing conflict. To understand the growing influx of refugees, it is important for us to first understand where these migrants/refugees come from. The conflict in Syria continues to be the biggest cause of migration today. However, the ongoing violence in Afghanistan, humanitarian abuses in Eritrea and rapidly increasing poverty in Kosovo are principle reasons behind the vast migration of people in tier 1 and tier 2 cities. The biggest driver so far today is Syria. Four million people, almost one fifth of the entire Syrian population, have fled the nation since the war began. Bashar al-Assad’s regime continues to target the population ruthlessly, including barrel bombs and chemical weapons; ISIS has murdered, tortured and crucified Syrian nationals and the populous are forced into sexual slavery, besides other appalling atrocities; meanwhile other groups such as Jabhat al-Nusra have tortured and killed Syrians as well. Eritrea is a version of North Korea in Africa, a country without a constitution, a federal court system, elections or press freedom. Outside the metropolitan elite, most of the Eritreans are forced into some form of labour – lifelong military conscripts are forced into inhuman torture and are subjected to violations of human rights. Any one opposing this “system” is sent to prison where they are tortured. A recent UN bench on “Human Rights violations” described the situation as “insanity towards humans, where extrajudicial killings, torture, arbitrary detentions, enforced disappearances, indefinite military conscription and forced labour continues to happen without any agency intervening”. As soon as the Afghan forces took over the combat mission in Afghanistan the security situation escalated further. There have been frequent violent attacks in Kabul and fighting has disrupted many formerly-calm Northern provinces. With most of the country still under Taliban control, returnees are having a hard time in an overcrowded Kabul, the situation now difficult for one’s survival in Afghanistan. The stability of Afghanistan is very much in question here. Vast areas of Iraq have been occupied by ISIS, a worsening nightmare. The situation is now at its worst, especially after the West invaded the former in 2003. They continue to murder people and have detained many civilians and former soldiers before killing them. Iraq shares its borders with Turkey, so most of the refugees reach Turkey by land and then cross the Mediterranean Sea to reach the Greek islands. Boko Haram, a notorious militia continues their horrors in northern Nigeria, killing and kidnapping locals, thus forcing many to flee. This has triggered large waves of internal displacement and refugees. In the initial years of 2014, over 17,500 refugees fled to neighbouring countries such as Cameroon, Niger and Chad, leaving more than 1.5 million internally displaced. Poverty is yet another killer in Nigeria, forcing people to flee. The European Union (EU) has decided to create a Common European Asylum System based on the complete 1951 UN Refugee Convention, in which UNHCR will be the principle reporting agency. Few institutions such as the European Council, the European Commission, the European Parliament and the European Court of Justice have legislative, executive and judicial powers directly with respect to UNHCR’s mandate. For reason such as these, the UN refugee agency follows this EU asylum law and policy very closely. UNHCR’s Europe Bureau supports EU institutions in Brussels and operates through their liaison offices in Malta and Poland, dealing respectively with the European Asylum Support Office (EASO) and the EU’s external border agency, Frontex. It is important for UNHCR to work with the international protection norms in the EU law and policy, the agency then providing its views on a wide range of issues from refugee’s protection to resettlement to integration in the strong twenty seven member EU. The Dublin II Regulation states that the “State responsible for processing an application is the State responsible for the asylum-seeker’s presence in the EU, that is, the State through which an asylum-seeker has entered the EU.” However, there is no provision allowing member nations to review these requests. 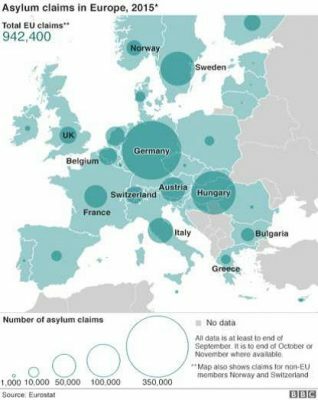 The “Dublin system”, which transfers the details of asylum seekers to the Member States for completing their process of application, heavily relies on EURODAC. This is an instrument which contains fingerprints of asylum-seekers, which checks whether the asylum seeker has previously obtained asylum in a country or not. It has been operational since January 2003. 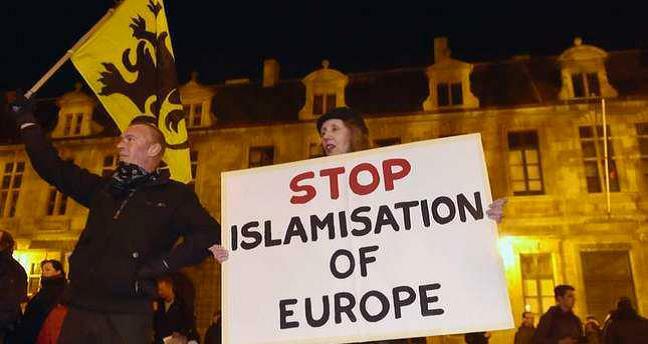 Existing policies to control these vast movements in Europe continue to falter. Those who are in favour of strengthening borders are now facing a steep challenge. Politically, it is important for the public to be reassured that this openness will work, however, the Paris attacks and bombing in Brussels continue to become a grave concern for political leaders. Experts say that the crisis has polarized the entire politic situation in Europe, dividing the discussion between humanitarian sympathisers and political leaderships, which again is partially to blame for the silence on the humanitarian crisis. Angela Merkel has been reaching out for an agreement with Turkey, in an effort to resettle a small number of refugees. A close ally of Ms. Merkel, European Commission President Jean-Claude Juncker, supports the active need to protect the external frontiers of the European Union. But when the discussion drops down to Greece, where the migrants coming from the Middle East cross over to Europe, the discussion begins to fade. Few leaders began their approach advising Greece to prevent the landing of refugee filled boats, leaving more people to drown. Angela Merkel and the European Commission, the EU’s executive arm, have too much at stake, especially registering the refugees at centres, commonly termed as “hot spots,” in Greece and Italy, and then distributing them in Europe. 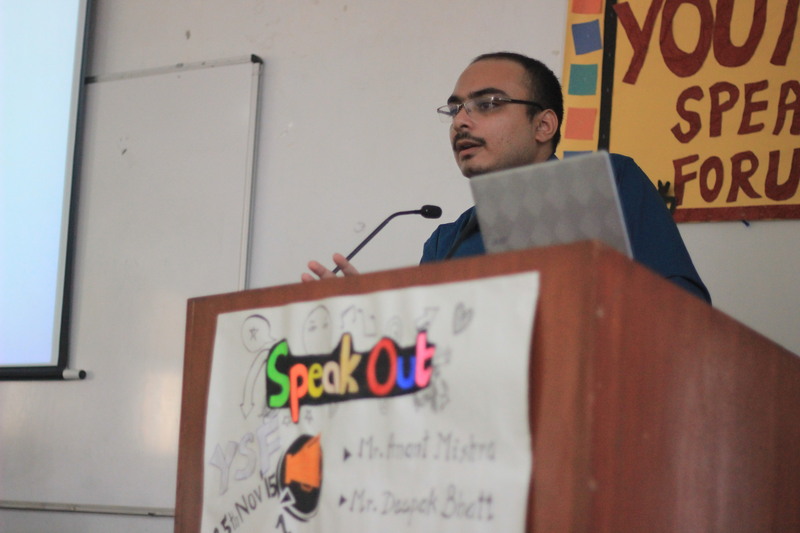 However, the distribution is harder now, especially when political leaderships are having doubts. In Germany, attacks have already begun on Ms. Merkel’s open-door refugee policy. Those criticising clearly state that migrants coming over from the Middle East pose a grave threat to national security, which has been proven after the Paris attacks and most recently Brussels bombing. German police, who are deployed at the borders, are already taking fingerprints and cross checking them through the international criminal database. Although many state that there are loopholes even in this instrument as the refugee crisis increases exponentially. 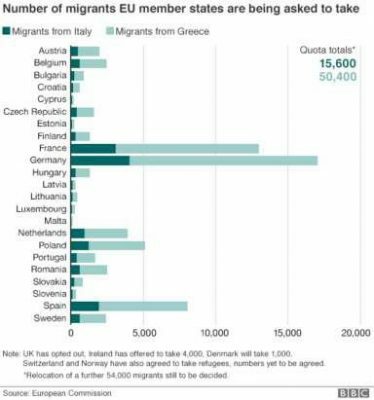 The UK has opted out from the quota system and has resettled 216 Syrian refugees under the Vulnerable Persons Relocation scheme since its operation in 2014. Prime Minister David Cameron stated that he will accept “at most 20,000 refugees and relocate them within the nation”. In 2014, Italy saved more than 150,000 children and women from crossing the dangerous Mediterranean Sea. Without such an extraordinary step, many would have drowned. However, the UK has reduced its funds for Mare Nostrum search-and-rescue operations, which saved more than 150,000 people in one year, stating that “rescue operations promote more people to cross the sea”. The Italian government ended the operation in November. Since then, this has been replaced by a basic Frontex program, which patrols only 30 kms within the border, and does not have a search and rescue operational capacity. The result has been deadly so far: An estimated 2,400 people have already died while more than 300 are missing. This cannot merely be ruled out as an accident. It is a European policy to rule out the refugees and take the minimum “alive”. Austria, on the contrary has strengthened their internal borders, performing thorough checks for migrants smuggled into their country illegally. However, the government has ruled this out as an act of deporting the refugees and has stated it has a measure to prevent any further loss of refugee lives like the recent deaths of 71 people who suffocated in the back of a smuggler’s truck. Many have criticised this as one of the major flaws in the EU border policy. Countries like France and Belgium are now reluctant to accept migrants from the Middle East and North Africa, especially after two terror incidents that rocked the nations’ national security. — former CFR Senior Fellow Charles Kupchan. In Hungary, the Prime Minister explicitly stated his policies of anti-Muslim immigration in the country. Since a selection of migrants based on their religion is a clear violation of the EU’s non-discrimination laws, these leaders have defended their policies by pointing out the growing mistrust of Muslim communities in their countries. Meanwhile, Serbian authorities have allowed only refugees coming from Afghanistan, Syria and Iraq, when they have documents to prove it. 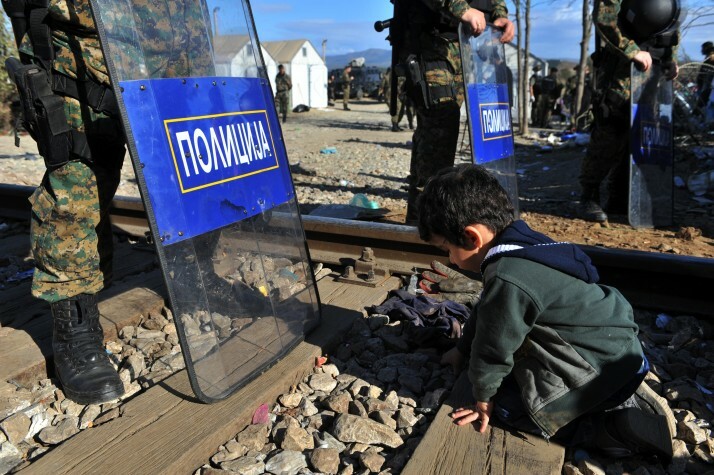 Macedonia has barred refugees coming from Liberia, Morocco, Pakistan, Sri Lanka and Sudan. The recent economic crisis has resulted a sudden change in demographic shift, as citizens migrating to these countries are looking for jobs and better pay. And, as the intra-EU migration has sparked a sudden debate, another debate on social benefits hits the public domain, especially those coming from the Middle East and North Africa. German officials are prepared to take “500,000 asylum seekers a year” for several years. 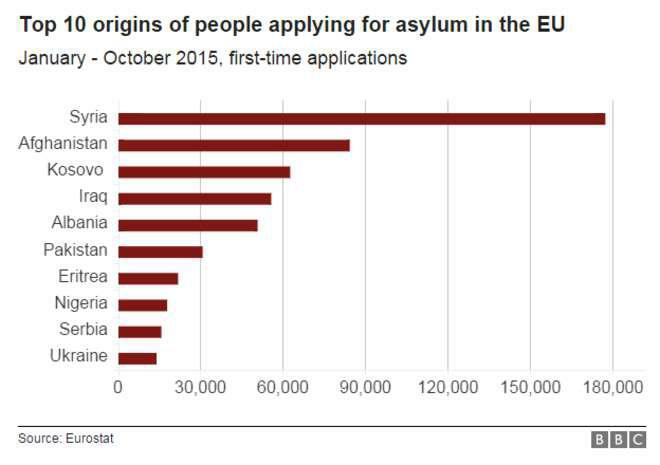 Similarly, Sweden have started receiving a significant rise in refugee and asylum requests. The country has granted refugees to the largest share to the EU (317.8 per 100,000) in 2014. Stockholm had previously announced that it would offer permanent residency to all Syrian applicants. Experts say that Germany and Sweden’s policy towards migrants will tragically shake the EU’s entire economy, while some sympathetics support the declining young population in the countries. However, vast migration could improve Europe’s economies as workers, taxpayers, and consumers could help create safety nets. Other cautious EU experts say that it would increase competition, especially when one-member nation’s economy is falling and one is on the rise. Serbia and Macedonia, which lie on the main migrant route to northern Europe, began restricting the entry of asylum seekers to just those from certain countries. Tensions in the EU continues are expected to rise especially due to the economic shift, which has affected countries like Greece, Italy and Hungary where social and health care investment has lapsed. In September, EU ministers voted with a majority to reintegrate 120,000 refugees EU-wide, but the plan could only work for 66,000 who are currently relocated in Italy and Greece. The other 54,000 were to be moved from Hungary, but the host government has not ruled out a decision, hence the refugees are kept “in reserve”. The EU has agreed to spread the refugees across Europe, but after the tragic incidents in Paris and Brussels, the leadership continues to hold its tongue. There are many migrants who go across 1 tier and 2 tier cities looking for better opportunities for their families. But their presence does not decrease the intensity of the situation where a family has to move out of their home because of unforgiving circumstances, risking drowning in the Mediterranean Sea or dying on the roads because of the terrifying journey still more acceptable than the horrors at home. The crisis has hit the normally strong EU hard, making it fumble, more importantly the crisis is already here. The desperate refugees have to move to somewhere. 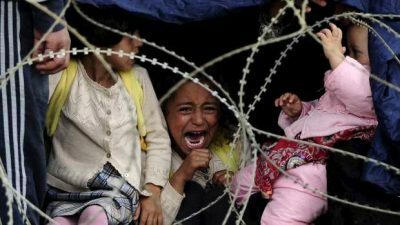 Leaving them there, surrounded by a dictatorship finding reasons to kill, or to live in overcrowded camps hunting for food and water in Jordan, Turkey or Kos is not an option to go for, rather it’s the option the world is trying to choose. This is a failed strategy. Amid insecurities, the stakes are too high. With the rare exception of Germany, each country is trying to push the burden onto someone else, which means none of the 27 member nations in the EU is actually trying to resolve the crisis, which means that it is getting worse. Since border controls are essential for preventing transnational crime, especially smuggling and trafficking, it is imperative for government agencies to ensure that no decision taken by them actually harms human life and no conditions are kept in place, risking them back to deportation or compromising their lives in the hands of ruthless dictators. Those who want to secure the borders are now involved in a much greater stress. Politically, the leaders need to express to the public that open borders do not mean inviting incidents like that of Paris and Brussels. Practically, it is important for member nations to improve joint European security mechanisms that have continued to prove ineffective and inefficient. It is imperative for policy makers to look for matured legal avenues, especially that of resettlement and admission issues, finding alternatives to irregular, dangerous journeys and cracking down on smugglers. Thanks for this very informative and well-explained piece. I've shared it via LinkedIn and Twitter. Excellent article, that compactly summarises the statistics of refugee migration, and also elaborates on the human suffering caused by Fortress Europe's ruthless exclusionary measures. Thank you.